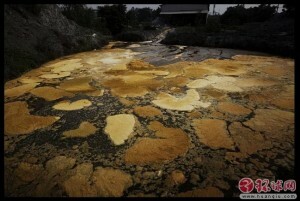 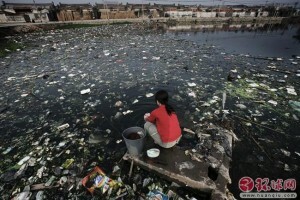 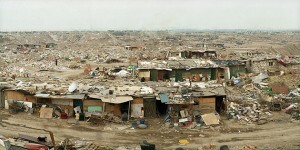 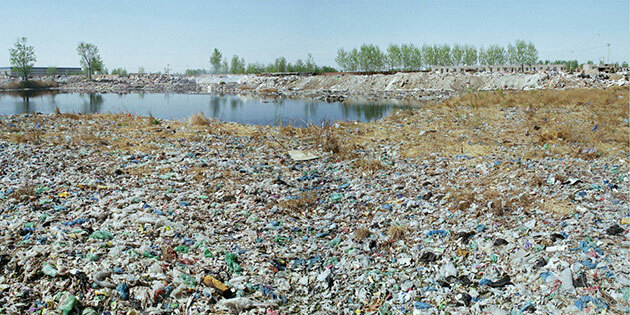 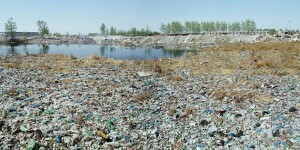 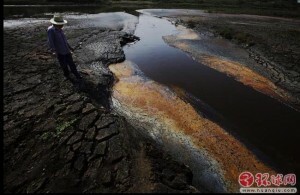 This landfill is right near a river bank, where waters have been polluted with the decomposing toxins from the waste. 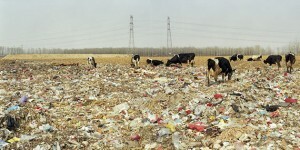 Dairy cows from a nearby farm come to the river daily to drink, and root among the trash for things to eatshan town, Changping district. 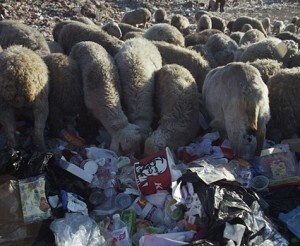 Over 200 sheep engorge themselves on mouthfuls of trash, heightening their risk of disease and infection. 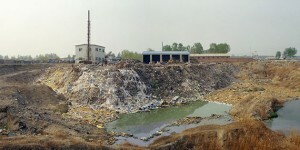 Toxic smoke permeates the air from small fires that burn throughout the Tuanli landfill site. 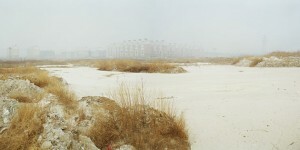 Changxindian, Fengtai district. 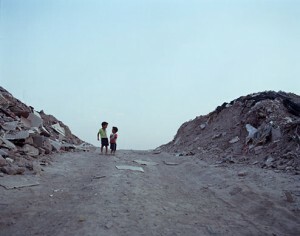 Children playing on the site.